A day dedicated to celebrating Tacos? Yeah, count us in. 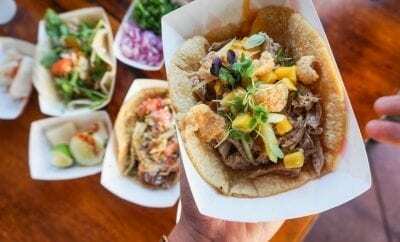 Celebrate National Taco Day in style by digging into some of the best tacos San Diego has to offer. Is there anything better than a perfectly smoky chipotle taco smothered in guacamole and all of the fixings? The answer is a resounding no. Thankfully, Tocaya Organica will be offering ‘buy one, get one’ tacos all day long, from 11:30am-10:30pm. Upon entering Cafe Rustica, you’ll be taken back by the vibrant and authentic Mexican decor that simply exudes fun and friendly vibes. 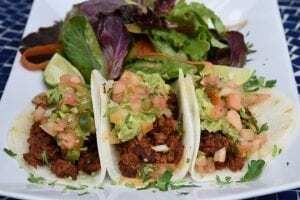 That authenticity is also translated into the food served here, with dishes like the Crispy Octopus Taco Plate or the Beef Barbacoa Plate, served with generous helpings of red or house rice, refried beans, and a side of guacamole. 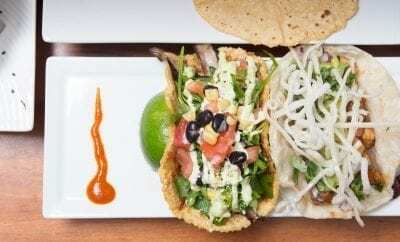 Fresh ingredients are the name of the game when it comes to Jalisco Cantina, with creative and delicious food choices that are reflective of vibrant Mexican culture. Try out one of the taco plates including Lemon Garlic Shrimp, Orange Cumin Carnitas, Chile Dusted Yellowtail, and Slow-Braised Birria, served with all the authentic additions. Kick-back with Pacific Beach vibes while enjoying some of the famous Bub’s Fish Tacos, complete with Bub’s Fry or grilled Featured Fish. Try out some of the Woody Tacos, packed with shredded cheese, house fresh-ground burger blend, and Bub’s secret sauce. Both will be $2 off in celebration of Taco Day. The only not-for-profit taqueria in San Diego, Tacos Libertad partners with a different nonprofit every month and donates all proceeds to their cause. 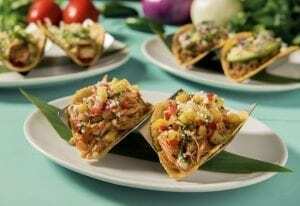 Celebrate National Taco Day with some delicious tacos while giving back to a good cause. 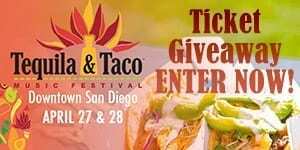 One of San Diego’s most iconic taquerias, you’ll find some awesome deals here on National Taco Day. Enjoy a $3 ice cold Cerveza paired with one of the many specialty tacos they have. The Al Pastor is particularly delicious, prepared with made-to-make corn tortilla, rotisserie marinated pork, cilantro, cilantro sauce, and pineapple. 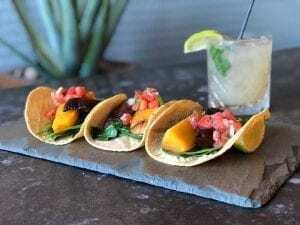 If you’re a fan of tequila and tacos, then this is the place for you. Check out Coronado’s newest restaurant, with Executive Chef Chris Gallo putting a unique spin on a traditional cuisine. Try the beef short rib tacos, topped with crispy shallots and a guajillo chili-tomato jam. This waterfront stunner has the views, the tacos, and the spirits for you to have a good night. The Fish and Chips tacos are downright delicious, featuring Tecate-battered fresh fish and malt vinegar potatoes. Hit happy hour from 3:30-5:30 pm and enjoy $7 wine and beers. 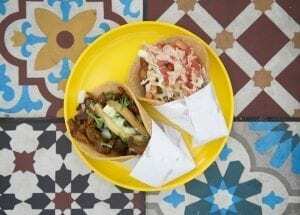 A fun and quirky Mexican cafe in its own right, the Lazy Hippo has solidified itself as a one-stop shop for both modern and traditional dishes. All of the food served here is made with the healthiest ingredient alternatives without compromising any of the savory flavors so synonymous with Mexican cuisine. 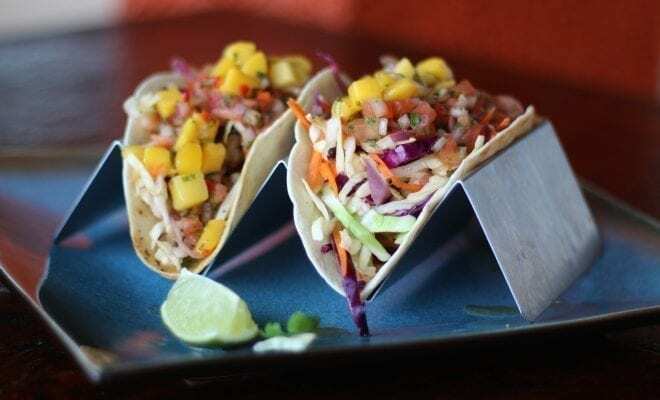 Try out the delectable Fish Tacos with sour cream, pico de gallo, and cabbage, or maybe try-out their vegan-friendly Jicama Soyrizo Tacos, loaded with fresh guacamole, salsa fresca, and fresh cucumber. 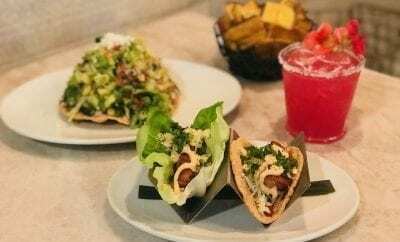 This contemporary Peruvian restaurant offers a lineup of fantastic South American-inspired tacos and sangrias, along with specialty tacos like barbacoa with red bell pepper and onion.